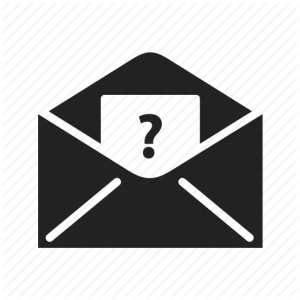 So what exactly is email marketing? Email marketing in its most basic form is sending your messages to a group of people using email, with the intent of encouraging them to take some kind of action so that you can make a profit. Every email you send to a potential or current customer should be considered email marketing. Any message sent that does not directly offer a product or service for sale is still considered a marketing email even if that particular email doesn’t directly produce a profit. What most artists don’t realize is that email is actually the most cost effective marketing tool available to them. With an ROI (return on investment) of 3800% and $38 for every $1 spent, email drives more conversions than any other marketing channel including search and social media. Email also allows you to provide valuable content and build authority in your niche, which in turn builds trust with your audience so that when you create a product to solve some problem they have, they will trust that your solution is right for them. So regardless of what business you are in, if you want to build a successful business, one of the most important things for you to do is build your email list, or collection of people who are interested in what you have to offer and have consented (opted in) to receive messages on those subjects that are of interest to them. In order to start building that list, we’re going to need a service that will basically collect and store those emails for us and let us market our messages to our subscribers. There are lots of companies to choose from that will provide these services, and they are called email service providers. Some are good, and some are not so good. MailChimp, GetResponse, AWeber, Klaviyo, Active Campaign, Soundest, and Infusionsoft are all examples of email service providers. Why do I need an ESP? You might be wondering why you need a special service to send out emails to your list. Can’t you just use Gmail (or whatever email client you use) and enter all your collected email addresses in the “BCC” field, type your message and send away? Well, no, you really cant. Unless you want your messages to be sent straight to the spam folder, your internet service provider to stop providing you service, and to get flagged and fined for breaking the CAN-SPAM Act (a law passed by Congress to regulate what email marketers can and cannot legally do), you’re going to need to use an email service provider to safely send emails to your subscribers. Services like Gmail, iCloud, and Yahoo are known as “email clients” and they should never be used to send mass emails to your customers. Ever. A professional ESP will handle delivery and make it much more likely that your emails will actually get delivered to your recipients’ inbox. They will add an unsubscribe link and mailing address to the bottom of your emails to ensure that you are abiding by CAN-SPAM laws, and will also allow you to do a lot more things that you can’t do with your email client. Give you reports that tell you how many of your subscribers have opened which emails and how many have clicked on a link inside the email. You’ll want to know this so you can know if you’re sending them content they are actually reading. If you have low open rates and click rates, you’re doing something wrong, but you can’t fix it if you don’t know about it. Provide the ability to segment your emails into categories of interests so you can send targeted information to the people who will get the most value out of it. Let you segment your emails based on whether someone has made a particular purchase or not. For example, if you’re having a sale and have decided to tell your customers about it via email, you’ll probably send two or three emails while the sale is going on. You wouldn’t want to send the second email to someone who already bought the product through the first email, so they would get segmented out and not receive the rest of the emails for that particular sale. Automatically send out pre-made messages called “autoresponders” based on certain triggers you set up. For example, if someone signs up for your newsletter, you could send them a series of emails spaced however many days apart you want, welcoming them, telling them what to expect, etc. You set them up to go out to anyone who joins your list no matter when they sign up, so every subscriber is always taken care of without you having to take any further action. Provide pre-made email templates and/or the ability to make your own templates that you can re-use. Since marketing emails are fundamentally different than personal emails, templates let you structure the email in a visually pleasing way that makes the recipient more likely to read it. Allow you to send test emails to yourself to see what your email is going to look like and to double check that all the links are working properly. What kind of messages get sent using an ESP? Transactional emails – These emails are set up before hand to automatically communicate with customers based on actions they have taken. Examples include order confirmation emails and receipts, order status emails, password reset emails, a welcome email after signup, etc. Content emails – These emails get sent to your subscribers when you publish new content such as a new blog post. These emails generally provide just enough information to capture their attention and then include a link to your blog post to get them over to your site to read the rest. Regular content keeps you on your readers’ minds and builds loyalty and trust. Promotional emails – These emails announce things like new products or special offers, and their purpose is to make you money. These offers can be your own offers or affiliate offers. Ask at checkout – During the purchasing process you should be asking your customers for an email address and requesting their permission to send them your newsletter and updates. If they don’t “accept marketing” at checkout, you don’t have permission to send them anything other than the expected order confirmation, receipt, and shipping and tracking information. Ask using a sign up form on your website – If you are going to be running a blog from your e-commerce store, you should add an opt in form at the bottom of your blog posts to encourage readers to sign up using their email address to get your newest content emailed to them. Adding an opt in form to your sidebar or footer is also a good way to make sure it is being seen from any page on your site. These forms are most effective when you offer the subscriber a “reward” for signing up. The opt in process can be super simple, requiring that the prospect only enter their email address once to be added to your list (single opt in), or have an additional step requiring that the prospect enter their email address and then confirm the request by clicking a link in a confirmation email before being added to your list (double opt in). The choice between using double opt in and single opt in is a controversial one, and it’s best to look into the pros and cons of each and make your own judgment based on your personal situation. However, some ESPs actually don’t allow you to use single opt in, so if you’re planning on using the single opt in, make sure the provider you chose will let you do it. If their website doesn’t clearly state their opt in policy, just ask. Ok. ready to pick an ESP? How do you begin to choose from the enormous list of possible email service providers? Well there are quite a few factors you should consider. Deliverability – This is the rate at which your emails actually make it to your prospects’ inbox. Established ESPs generally have high deliverability rates, but you still might want to inquire and compare. The ESP will usually state on their website what their delivery rate is, but if they don’t, you can always contact them through the method they provide and ask. Customer Support – This one is always important. If you have a question or a problem, you need to know that you’re going to get a helpful, timely answer and not be left stranded for days. Some offer 24/7 chat support, and some offer email and/or telephone support during certain hours. Analytics and A/B testing – Analytics are the data that your ESP tracks such as open rates, click rates, open times, demographics, etc. Most have some sort of tracking, some more extensive than others. Some ESPs provide you the ability to A/B test (creating two different versions of an email message to test a single element to see which version is more successful.) This is helpful for testing anything from subject lines to button colors. It’s important to know what works and what doesn’t. You don’t want to be guessing about your email marketing decisions. List Segmentation – If your ESP can only segment based on a few criteria, then you are limited on the income you can make. You need to be able to tailor your offers to specific groups of people on your list so that it is relevant to them, rather than mass mailing one offer to everyone on your list. The more advanced segmentation the better. Your budget – ESPs can range anywhere from free to hundreds of dollars a month with huge sums of money to start up. ESPs generally charge you by the amount of subscribers you have. The free ones are usually only free up to a certain number of subscribers and sometimes with limited features, before charging a monthly fee when you’ve exceeded the limit. Most of the paid services also offer a free trial for a limited time. User interface – This term refers to the means in which a person controls the software. A good user interface will provide a user-friendly experience that makes your interaction with the software as simple and efficient as possible. If you’re spending more time than necessary to do something, you’re ultimately losing money on wasted time. This is another thing that can differ from person to person though. What may be easy for me to use may not be so easy for you, and vice versa. If you’re at all familiar with using an ESP, you should be able to figure it out pretty quickly. However, if this is your first time using an ESP, I highly recommend you take the time to read through the manual. Import requirements – If you are switching from one ESP to another, some ESPs require all the subscribers you’re importing to resubscribe to your list. It’s best to find an ESP that does not require this so that you don’t risk losing many of your existing subscribers. Again, this is something they should clearly state on their website before you sign up. Now that we know what’s important to us in an email service provider, lets take a look at some of our options. When you think of email service providers, MailChimp is probably the first one that comes to most people’s minds. A lot of people love MailChimp, and they do have some of the qualities we are looking for in an ESP. They have a Shopify app called Chimpified that will collect user data and allow you to target your emails to subscribers based on their buying behavior. Not all email marketing services are designed specifically for e-commerce, so this is a really good feature for them to have. 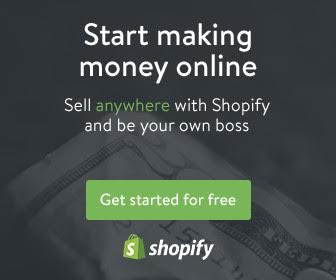 However, there have been a high number of reports that the app doesn’t sync your contacts properly from Shopify to your MailChimp list, and that the app sends out error messages left and right. That alone gives me reason not to recommend them. Another downside is that they only allow double opt in, so if you are interested in having the option to use single opt in, they won’t be able to provide that for you. The ESP that I currently use and actually really love is GetResponse. They offer double and single opt in, have advanced segmentation and autoresponders, awesome customizable email templates, A/B testing, many types of sign up forms, and lots of other great features. They have an easy to use interface, are fairly inexpensive, and have amazing 24/7 support. You can literally get a hold of them for help through a live chat at any time of day as many times as you like. While they do have a lot to offer, they are lacking in some important e-commerce specific features. Depending on your goals, using GetResponse for your e-commerce store could work in combination with other marketing apps such as Abandonment Protector, which offers customizable cart abandonment recovery, and Recomailer. which allows you to automate and send personalized product recommendation emails. Still, GetResponse will not track your customers’ purchasing behavior to use for email segmentation, which I find to be a very important feature. Soundest is a popular ESP found in the Shopify app store, and they have some decent e-commerce oriented features. They are simple and easy to use, they have a free plan, and an inexpensive premium plan. In addition to Shopify, they integrate with Bigcommerce, Tictail, and GetShopin. Soundest offers some basic segmentation for newsletters, and they have a few autoresponder emails you can set up including a birthday email, a welcome email/welcome series, and a cart abandonment email/cart abandonment series. They have a few email templates, including an interactive “scratch card” template, where your user can “scratch” a circle to reveal a coupon code. Their “product picker” feature lets you select products from your store to add to the email. They also have a feature called “campaign booster”, which will automatically resend your newsletter to your subscribers a second time with a different subject line to those who didn’t open the first one. You can create one sign up page, and one sign up box OR pop-up offering visitors a coupon code in exchange for email. While their email templates are somewhat customizable, their sign up page and sign up box are pretty limited on the customizations, and their autoresponder email series has limited options when it comes to how and when the emails are sent. Data such as open and click rates, sales data, and information on what device your customers are using are tracked and shown as reports, but they don’t offer any A/B testing, and they only allow single opt in with no option to use double opt in. Their free plan has limited features, and only includes the sign up box, basic segmented newsletters, and reports. No product picker, campaign booster, welcome emails, cart recovery, birthday emails, scratch card, or pop-up. Soundest obviously tried to build their service with e-commerce in mind, but because of it’s simplicity, it is lacking in a lot of functionality. If you want to be able to have real control when it comes to your email marketing, Soundest isn’t gonna cut it. 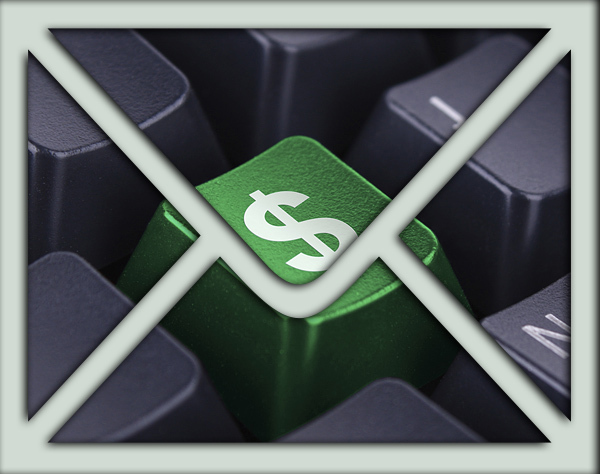 There is only one E-commerce email service provider that makes the cut. Btw, what a clever way to capture email addresses! I’ve never seen anyone do it that way before. I will have to use that strategy too when I start my blog. It’s as if you read my mind with this one! It is the exact thing I’ve been wrapping my brain around these days! I thought of MailChimp and am figuring out how it works as we speak! I’m glad this helped! I’m also glad my super mind reading pills are working properly! If you have any specific questions that arise as you work through your chosen ESP, feel free to post them here and we will help if we can. Chris this one is great! I’ve been planning out a strategy to start getting my stuff out there, and this email thing is something I knew I HAD to have but didn’t know much about! Thanks for all these great tutorials! Thanks Vince, would love to hear the strategy and will help in any way I can! Can you write another post expanding on email content? Hi Alyson, we are working on a more comprehensive resource for email marketing but it’s still in the creation phase. Technically we would probably have to write a book to cover the subject in its entirety lol. Stay tuned, more on the subject is on the way but it may be a while before it’s ready. Hey Chris, I was wondering if you had any insight on scanning and making prints of your art work. I plan on doing a line of album covers and want to have them on up on a Big Cartel page while using Printiful as my POD service. However I’m a bit confused as how the process of uploading and making copies works. What’s a good recommended scanner? And whatre some recommendations on paper to use for Copic Markers ? Hi Ronald, excellent questions! Personally I prefer to photograph my finished drawings rather than scan them directly. For me, a scan creates a harshness to the colors that I find unappealing. I’m in the minority here, and most other Copic artists just scan their work directly. Any decent commercially available scanner should do the job, or you can take your finished drawing down to your local printer and have them scan it for you. As for paper, honestly nearly any paper will do. For my commissions I use 100 lb. smooth Bristol board, but some of my favorite drawings are actually on cheap sketchbook paper. Wow it’s very useful for us i think. Thank you provide us this marketing knowledge. Hey Buddy!, I found this information for you: "Email Marketing for Beginners". Here is the website link: https://copicmarkertutorials.com/email-marketing-for-beginners/. Thank you.